Mondelez is behind some of the world’s most famous brands. 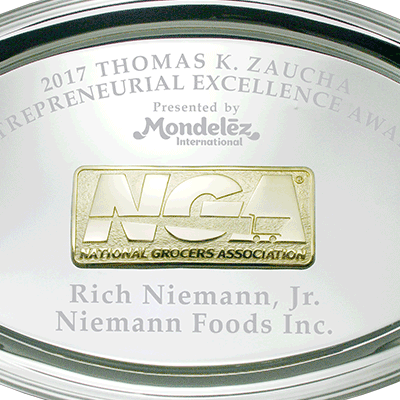 It stays close to their roots by recognizing smaller stores through the National Grocers Association Entrepreneurial Excellence Award. 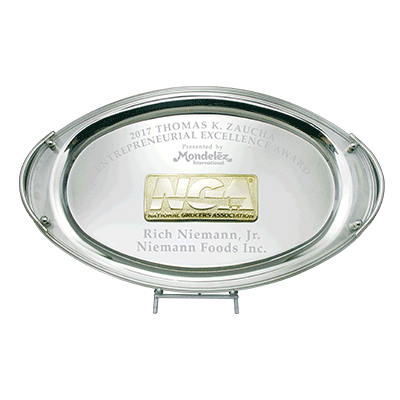 This trophy tray is 22” across and features a 7” gold plated logo.